The Jaguar brand joined the Snell Motor Companies family in 2010. They continue to be one of the largest Jaguar dealerships in North America. 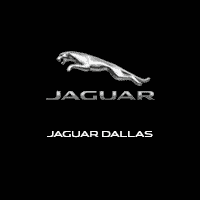 Welcome to Jaguar Dallas, proudly serving the following cities Dallas, Fort Worth, Irving, Arlington, Rockwall, Frisco, McKinney, Allen, Garland, Carrollton, Addison, Grand Prairie, Euless, Rowlett, Murphy, Wylie, Sachse, Lake Highlands, Highland Park, Farmers Branch, and Richardson, Texas. Our highly qualified team is focused on providing exceptional customer service in a timely manner with standard offerings including complimentary car washes, loaner vehicles, roadside assistance and extended Saturday service hours. Our Mission and Vision Statements listed below are the guiding principles of how we measure our success. Snell Motor Companies is committed to building a high performing dealership family devoted to creating a culture that is guest centered while furthering the knowledge and careers of our team members through the following core values: Honesty, Integrity, Respect, Trust, Commitment, and Passion. Owning a Jaguar is an experience unlike any other. Engineered with a rich heritage of on-road performance and design, along with an Elite Care Warranty offering best in class coverage. Our dedicated sales staff is here to answer any and all questions to help you find the vehicle that best fits your needs. After you’ve left our showroom and driven your new car home, our longstanding relationship has only just begun. Our factory trained Jaguar service advisors and technicians are available for routine and performance maintenance. Moreover, our comprehensive auto parts department provides Genuine Jaguar parts and accessories. We look forward to being the first and only choice for your Jaguar needs!